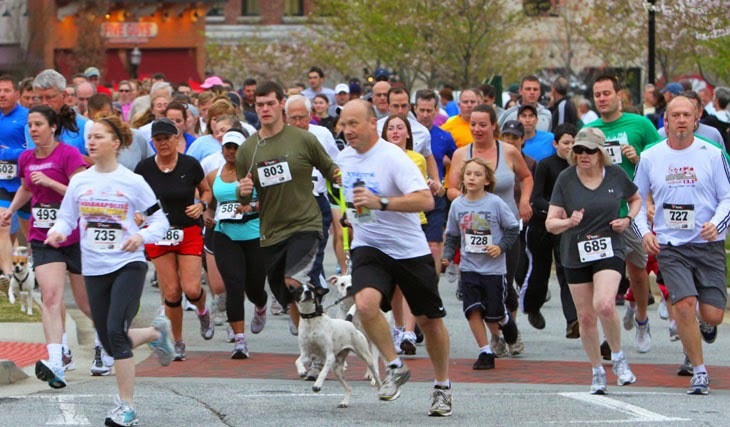 The Georgia Society for the Prevention of Cruelty to Animals (Georgia SPCA) is excited to announce the 5 th Annual Run for the Rescues 5K, Fun Run and Festival benefiting homeless pets in the Atlanta Metro area. This year’s annual event is scheduled for Saturday March 28th at Suwanee Town Center from 8am - 4pm. 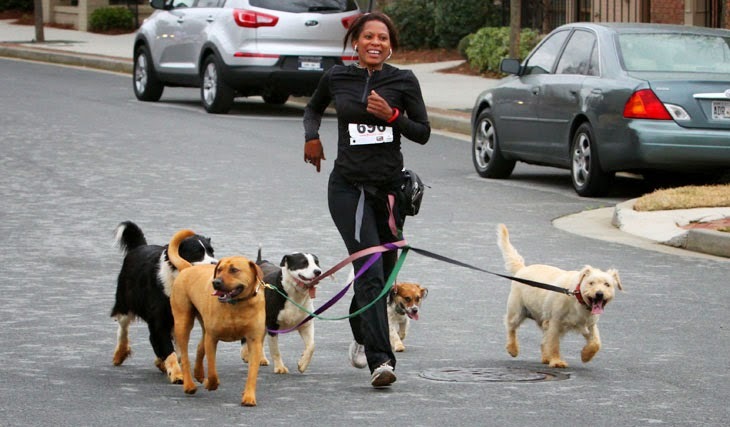 Come strut your mutt at the Georgia SPCA Run for the Rescues which has helped thousands of local animals annually by raising critical funding for their rescue, care and adoption. Participants can choose between a 5K (beginning at 9:15am) in front of the Library on Main Street, and a 1-mile Fun Run course (beginning at 8:30am) at the Suwanee City Hall. This year the certified race course (USATF #GA12061WC) is a 2016 Peachtree Qualifier event. Runners of the 5K will have the opportunity to be chip-timed for award opportunities. Awards include trophies based on race times and category (Overall Male/Female; and standard age groups). The top 3 dogs in the 5K will receive a trophy. Participants in the Fun Run will receive a medal and their dogs will receive a bandanna. The Georgia SPCA will also award prizes to the largest fundraisers in team and individual divisions. Pre-registration is $25 for the 5K race and $15 for the Fun Run, and includes a dry-blend t-shirt. Register online at www.run4rescues.georgiaspca.org/register.php, at any Big Peach Running location, or on-site race day.The Georgia SPCA encourages everyone to bring their families and their dogs (on a leash) for this run to benefit homeless pets, and to stay and participate in contests throughout the day. The Georgia SPCA will hold pet contests on the main stage at 12:00 noon, 1:00 pm, 2:00 pm and 3:00 pm. Win fun prizes for categories including: Longest Tail, Longest Ears, Pet That Most Looks Like Its Owner, Best Trick, Tallest Dog, and Shortest Dog. In addition to the race, there will be a Festival at the Suwanee Town Center from 8:00 am to 4:00 pm. Enjoy food and beverages, arts and crafts, inflatables for the kids and treats for dogs, cats and runners alike. Vendors of all kinds will have samples and products for sale. Many local rescues will be there with dogs for adoption. Come see B98.5FM's Jordan Graye as she broadcasts live from the event. Between 12pm and 2pm, the Dog Authority will be demonstrating dog tricks with some of the Georgia SPCA’s skilled canine rescues. For more information about the Run for the Rescues and the Georgia SPCA, visit the website at www.run4rescues.georgiaspca.org or call 678-765-2726. Don’t miss this great opportunity to help local homeless pets. About the Georgia SPCA The Georgia SPCA is a non-profit pet rescue organization located in Suwanee, GA. Our Mission is to reduce the number of healthy animals euthanized in the State of Georgia by implementing successful adoption programs, providing low cost vaccinations and spay/neuter to the public, and by promoting responsible pet ownership. We are not affiliated with any other rescue organization including the American Society for the Prevention of Cruelty to Animals (ASPCA), and we receive no governmental or state funds to support our operations. As a no kill organization, all animals accepted by the Georgia SPCA are placed in an adoption center or foster home until suitable homes can be found. Prior to adoption our pets are fully vetted, which includes updated vaccinations (including rabies), disease testing, treatment for heartworm (if necessary), flea and tick and heartworm prevention,spay or neuter, and micro-chip. All animals are adopted with one month of free pet insurance.